Michael Vaughan, a 72-year-old research geophysicist at Stony Brook University, contracted the Hantavirus while backpacking in the High Peaks region of the Adirondacks. Last week, medical testing confirmed that 72-year-old Long Island Michael Vaughan, of Stony Brook, had contracted the hantavirus while backpacking in the Adirondack High Peak region in August. The State Department of Health is now examining the case that left Vaughan in intensive care for four days. 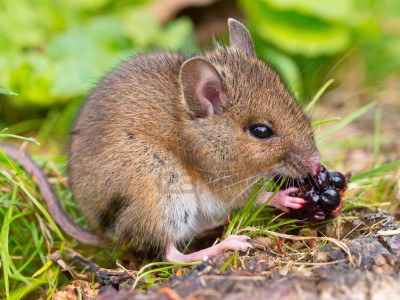 Hantavirus can be contracted through contact with mouse urine and droppings. One in three patients with hantavirus die from the disease. Vaughan, a research geophysicist who may be the first hantavirus case in New York this year, spoke at a news conference Friday. He had been camping in a lean-to near Skylight and Gray mountains. Vaughan felt a small animal bite his finger while he was sleeping. Symptoms did not set in until September. Without antiviral medications, Vaughan was kept under close supervision until he made his recovery. Vaughan returned to the Adirondacks on Columbus Day weekend, where fellow hikers urged him to report his illness to the State Department of Environmental Conservation. In 2011, Long Island had one verified case of hantavirus in Suffolk County. California researchers are still examining a strain of hantavirus that infected 9 visitors at Yosemite, with 3 fatal cases. Subject: LongIsland.com - Your Name sent you Article details of "State's First Hantavirus Case This Year Confirmed"